Little CHANEL thought her family was taking her for a car ride last week but what happened instead broke her heart. They dressed her in a little pink t-shirt, put her leash on and shortly after they dumped her at the shelter. This poor little girl is heartbroken and defeated and just lays in her kennel all day. Please help this sweet little doll. The only hope she has is us. 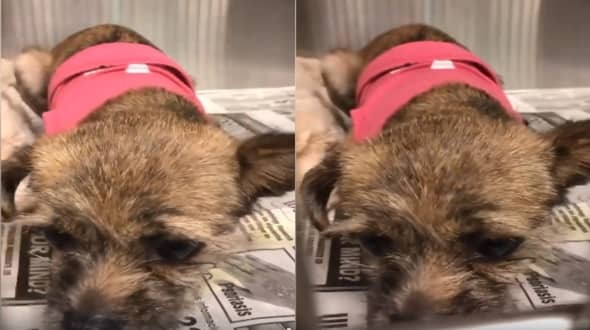 1 Response to "Poor little girl dressed in a little pink t-shirt surrendered to kill shelter, left with no more tears to cry"